Obtaining a copy of an accident report can play an important role after suffering injuries from a car accident in Richardson, TX. 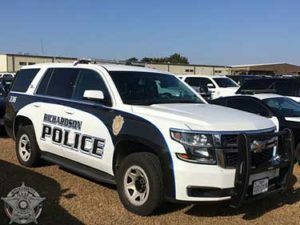 The Richardson Police Department (RPD) provides a couple of ways to get a copy of the accident report (also known as a crash report). You can obtain a copy of the accident report either in-person or online. If you choose to obtain a copy of the car accident report in person, you will need to head to Records Unit at the Richardson Police Department Headquarters. But first, you will need to fill out the Crash Report Request Form. They are conveniently located at 140 N Greenville Ave, Richardson, TX 75081 (get directions), and are open Monday through Friday from 8 am to 5 pm. It is also important to note that, crash reports can take up to 10 business days before they are available. So, be sure to give them a call them at (972) 744-4836. We’ll get your Richardson car accident report for you. Just provide the details of your accident, and we’ll do our best to track down your Richardson accident report and email it to you. Perhaps the most convenient way to receive a car accident report is online. You will need to request the crash report from the Texas Department of Transportation (TxDOT). You can find the request for a Texas Peace Officer’s Crash Report (also known as a CR-3 Form) here. The TxDOT charges a $6 fee for the crash report and $8 for a certified copy. A Call Card is a document that records minor crashes that no injuries were reported. The information found on the call card is basic information about the crash and the parties involved. Finally, they can be requested in-person at the Richardson Police Department Records Division or by email for no charge. If you were instructed to fill out a CR-2 Form (also called Driver’s Crash Report or Blue Form) this will serve as your official copy of a car accident report. This should be retained for your records.